In Season 4, New Girl has been messing with the relationship dynamics it established in previous seasons. And though I'm a fan of Cece and Schmidt (and Nick and Jess for that matter), Schmidt will have a new love interest on New Girl for 2015. 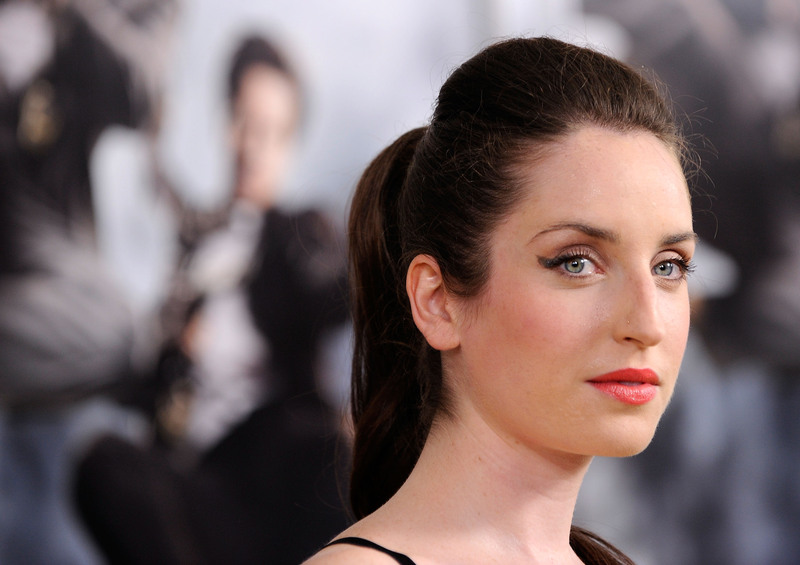 Zoe Lister-Jones is coming onto the Fox show to give Cece a run for her money. According to TVLine, Lister-Jones will portray a city councilwoman that Schmidt attempts to woo to help stop overnight construction outside of the loft. Although New Girl has been breaking the hearts of Jess and Nick 'shippers, the show seemed to be moving in a direction of having Cece and Schmidt rekindle their relationship. In the Season 4 Christmas episode "LAXmas," Schmidt pretty much called Cece priceless. But even though romantic tension was in the air, they cheersed to just being friends by the end of the episode. With Lister-Jones playing Fawn Moscato (amazing wine-themed name) in the Jan. 6 episode "Shark," it looks like Cece and Schmidt are really going to keep with this whole "just friends" farce (for now). Lister-Jones is no stranger to TV, but she's also multitalented with her work as a musician (solo and with the performance group Maxi Geil! & Playcolt— definitely worth a Google search) and as a writer (she wrote and performed a one-woman show and has written and created films with partner Daryl Wein). So Lister-Jones has been around, but what movies and TV shows will you recognize her from? Lister-Jones had a small role in the Angelina Jolie action movie Salt in 2010. And let's emphasize small here as IMDb has her role listed as CIA Security Hub Tech. That same year, she also had a bit part in another blockbuster — The Other Guys with Will Ferrell and Mark Wahlberg. Although her role of Lily on Whitney wasn't Lister-Jones's first time on TV, it was one of her more notable appearances. The Whitney Cummings show was canceled in 2013 after only two seasons. Lister-Jones had previously been in episodes of Law & Order, Bored to Death, and The Good Wife, and had a reoccurring role in the Adult Swim show Delocated. As the writer, executive producer, and costar of Lola Versus (and not to mention the girlfriend of the director), Lister-Jones certainly had her hands full with the 2012 film. She even wrote about part of the experience on Huffington Post. Working with Wein in Lola Versus must have been more comfortable than when they worked on and starred in Breaking Upwards together (which was based on their real-life breakup years earlier). The pair's next film is the upcoming Consumed. Another ill-fated sitcom like Whitney, Lister-Jones starred in the ensemble comedy Friends with Better Lives on CBS (the network's poor attempt to replace How I Met Your Mother). Even if the show was cancelled after less than a full season, Lister-Jones proved she was a standout alongside none other than Mr. James Van Der Beek with her witty sarcasm. Now Lister-Jones's role on New Girl is only reoccurring (which is a good thing for Schmidt-Cece 'shippers and a bad thing for Lister-Jones fans), but she won't be gone from the TV world for long. She signed a deal with 20th Century Fox TV in Oct. 2014 for her to star in a show that Wein will direct. Hoorah! Lister-Jones deserves to be on another good TV show after New Girl. And perhaps she'll seriously shakeup our TV lineup.